RN jobs and nursing jobs at NorthBay Healthcare present a world of opportunity for healthcare professionals across Solano County. As the area’s only locally-based, locally-managed non-profit healthcare organization, we are excited to announce a number of openings for registered nurse jobs at numerous locations. At NorthBay Healthcare, our associates with RN jobs bring home more than just a paycheck. In addition to comprehensive benefits, generous paid time off, shift differential, performance incentives, and service awards, our culture is one that promotes growth, leadership, and development across the organization. If you’re searching for registered nurse jobs with a company that prioritizes its people, you’ve come to the right place. 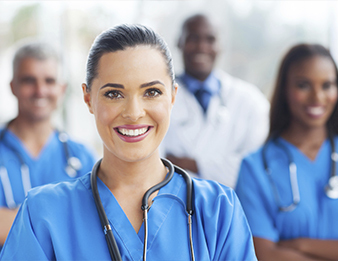 Put your skills to work for you on a team that truly rewards your performance – join the NorthBay Healthcare Talent Network today and check out our current opportunities for RN jobs and other nursing jobs near you!